Rosalie has been passionate about International Affairs, Public Policy and willing to promote the work of the United Nations since her young age. In High School, she attended the Paris Model of the United Nations. During this conference, a simulation of a General Assembly of the United Nations, gathering students from all over the world, Rosalie represented Congo in the Political Committee. At Sciences Po, she worked during a year as the Communications Director of the United Stations Student Club. Along with her team, Rosalie organized conferences with top international affairs speakers, including M. Enrico Letta, M. Ban-Ki Moon, and M. Kofi Annan. 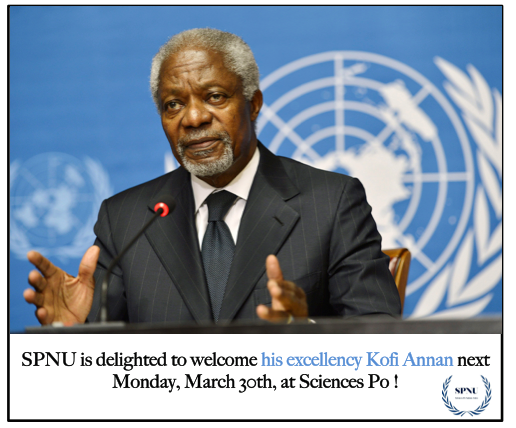 In the meantime, Rosalie helped Sciences Po students to attend Models of the United Nations throughout the globe. Rosalie coordinated the website and the social media activities of the student Club. She also continued to attend Models of the United Nations as a delegate, notably the London Model of the United Nations, to which she participated in 2014 and 2015 as the delegate of the United States. Below is a sample of her work as a United Nations advocate.